Bharatiya Janata Party (BJP) President Amit Shah on Wednesday said the party will not allow a separate Prime Minister in Jammu & Kashmir till “we are alive”. He was reacting to the National Conference's (NC's) demand a separate PM. 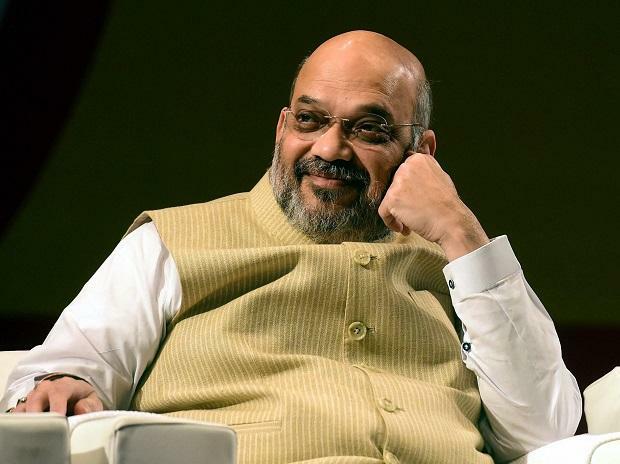 Attacking the Congress for its silence on the issue, Shah said: "For the past three days we are hearing that (NC leader) Omar Abdullah wants a separate Prime Minister in Kashmir. His associates are raising pro-Pakistan slogans. But the Congress is silent." "I want to ask Congress President Rahul Gandhi to clarify whether you are supporting or opposing this demand," Shah said at an election rally in Uttarkashi of Uttarahand, which is going to polls on April 11. "Till we are alive, we will never allow this demand to be fulfilled," he said. He reminded the people of the "sacrifice" of Bharatiya Jana Sangh's Shyama Prasad Mukherjee in opposing two symbols and constitutions in Kashmir. "We are following the path of Shyma Prasad Mukherjee and we will not allow such a thing to happen," Shah said. He attacked the Congress for seeking to scrap the sedition law in its manifesto. "Who are you protecting? In JNU, they (the students) called for 1,000 divisions of our country. But you stood silent outside. Do you want to protect all those who are facing sedition charges," he asked. Claiming that the Congress wanted to repeal all laws that provide security to the armed forces, he said: "You cannot simply do it. We are standing with the armed forces like a rock." Referring to the Pulwama attack in February, which claimed the lives of around 40 Central Reserve Police Force personnel, he said only Prime Minister Narendra Modi has the "guts" to act against terrorists. "When the Pulwama attack occurred, there was commotion and sadness all around the country. But our Prime Minister launched a big attack against terrorists. This attack occurred when there was no possibility of a surgical strike due to the heightened security on the borders by Pakistan. But we carried out air stikes and destroyed all terrorists," he said. After the Balakot attack, he said, a wave of happiness ran through the country. "Everybody looked happy. But the faces of our Rahul Gandhi and the Pakistan Prime Minister looked just like same," he said. He said the country will never be secure under the Congress rule. "If you want to make India a powerful nation and global leader, only Prime Minister Modi can fulfill your aspiration," he said. Asking for a repeat of 2014, he asked the people to give all the five seats in the state to the BJP. "We are on the path of development. This development will continue," he said.